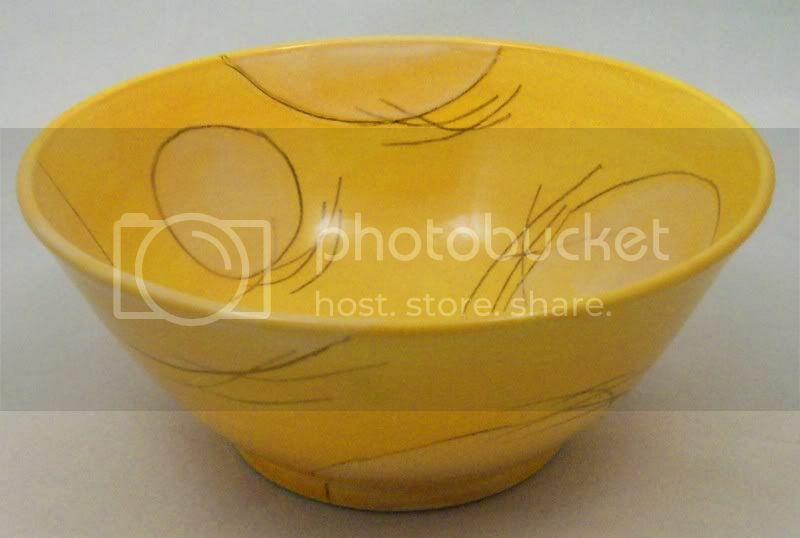 I have a thing for pottery and I'm always drawn to color, so Cinderelish is right up my alley. I love the warmth and unique character of each piece! These tumblers are just too cute! I think I'd put fresh cut flowers in them. Mashed potatoes anyone? This is the PERFECT serving bowl! 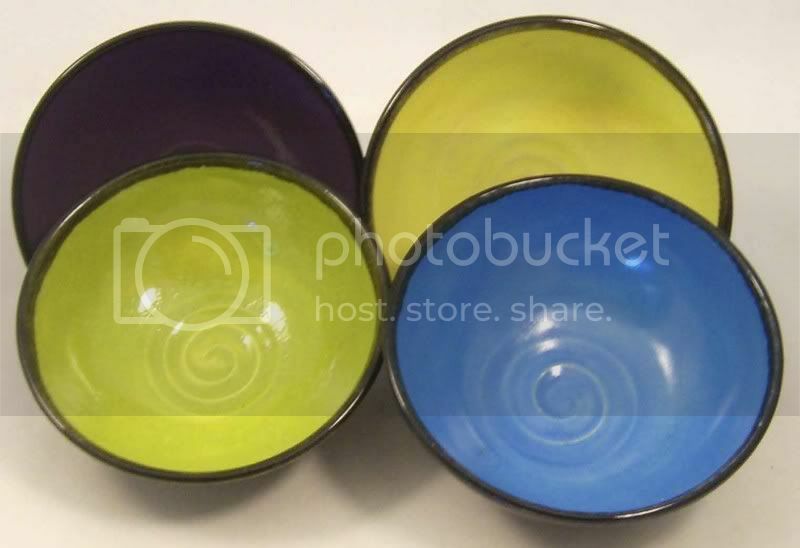 I'm a cold-cereal-for-breakfast person and I think these bowls would brighten my morning every single day! I highly reccomend you check out the Cinderelish shop! You're bound to find something you love. Thank you for joining my MyBlogLog commnunity because it led me to your site and I LOVEEEEEEEEE looking at all the great pictures and things you make. The honor is greatly appreciated. Oh yeah, those bowls will make your morning start out right!! Cute cute! Love Cinderelish! I haven't seen those new cups - so cute! I love Cinderelish. 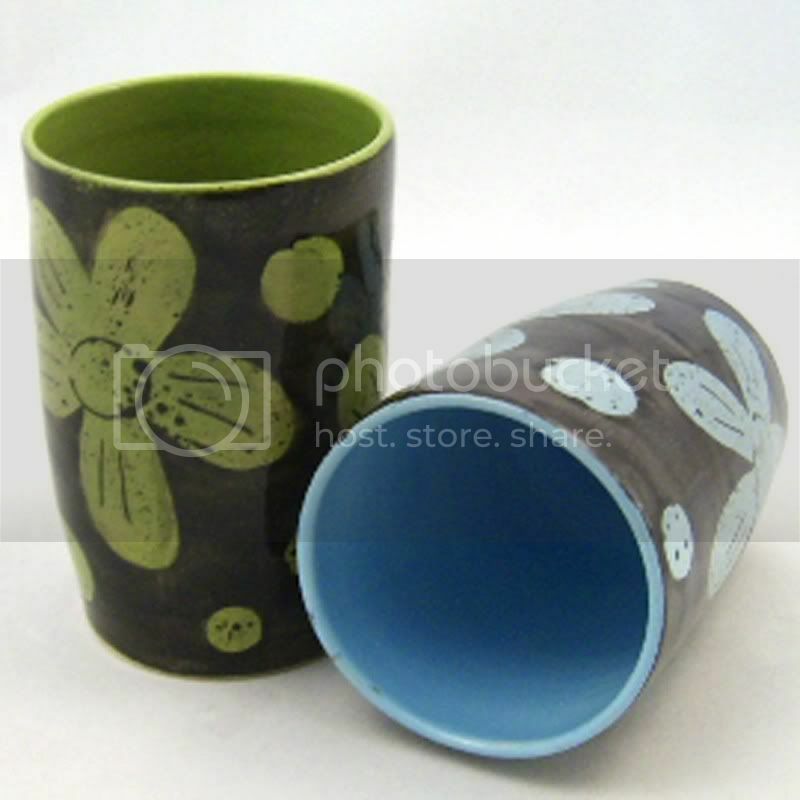 I've found so many great pottery shops on Etsy, I just can't make up my mind! New to your blog, love it. I'll be back.